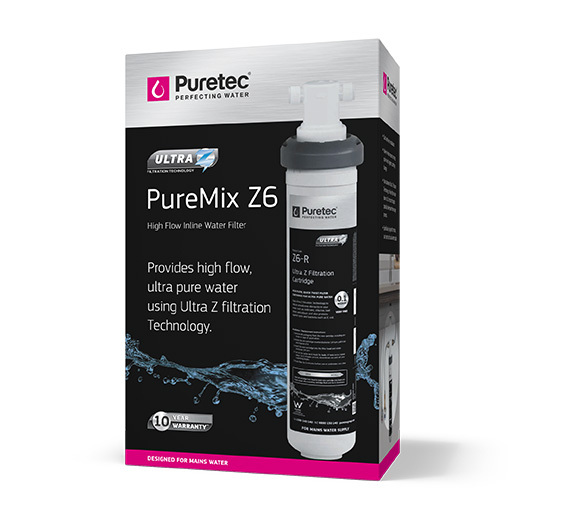 The PureMix Z6 system uses Ultra Z Filtration Technology to reduce unwelcome elements in your water. With 3 levels of filtration, the PureMix Z6 filters out sediment down to 0.1 micron* as well as filtering out bad taste, odour, chlorine and protects against cysts and bacteria such as E. coli. Leaving you with healthy, great tasting, clean, safe and pure water. Puretec has introduced valve-in-head technology, which means the cartridge can be quickly and easily changed without having to turn off the water supply. 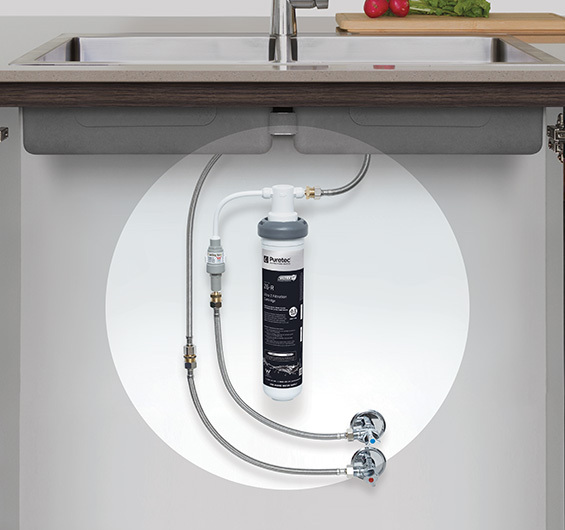 The PureMix Z6 can be used with your existing mixer tap and installs right under your kitchen bench. This unit can be installed vertically or horizontally, so it won’t clutter up your cupboard. • Specifically designed for mains water supply. • Using Ultra Z Filtration Technology, this Z6 cartridge has the ability to protect against cysts and bacteria such as E. coli. 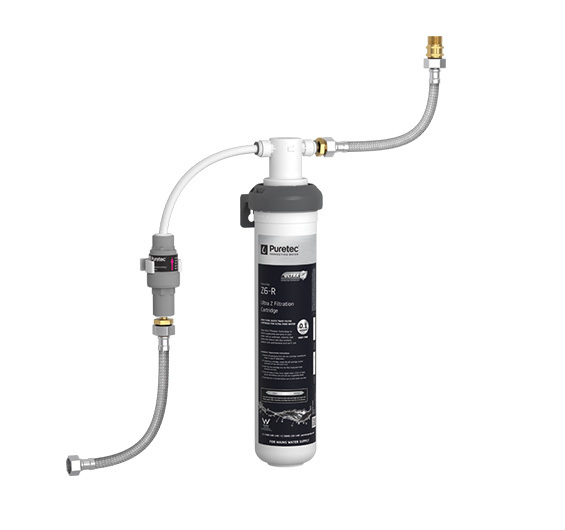 • Provides pure, safe, filtered water, free of chlorine. including Giardia and Cryptosporidium cysts. • No need for a separate filter tap. Connects to any mixer tap. Important Note: Use only genuine Puretec replacement cartridge. ^10 year warranty is 1 year parts and labour, plus 9 years parts only. Excludes cartridges. *Micron Rating is nominal. Protect from freezing.